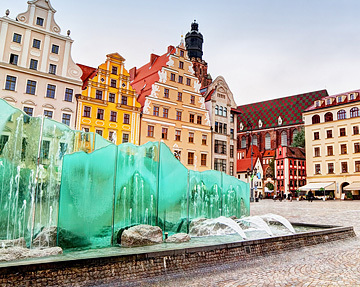 Fancy a stag do in Wroclaw? You will Definitely not regret it. The city is a fresh place on the stag map. While Krakow, Prague and Riga are already well-known cities for stag groups, Wrocław is still a place, where staggers remain anonymous and are warmly greeted by the locals. Many still developing places offering wide ranges of activities to do during the day and night makes the city attracted not just for stag groups, but also for all other people who want to spend time actively at a low price. You will be pleasantly surprised by Wroclaw (pronounced Vrotslav), which will show you all its splendor. The Market Square, small streets winding around it, cobbled courtyards, pubs, bars and clubs in the city center are just a step away from your hotel. Visit the Old Town Central Market is a must if you want to admire the beauty of this fourth largest city in Poland. Stag weekend in Wroclaw is a great choice for those who appreciate the Polish outlook on life, comfortable hotels, great prices and great day and a night entertainment. A wide range of activities, such as paintball, go-karting, shooting, quad biking, hovercrafts riding can be chose by stag groups during the day, while a large number of students makes the city vibrant at night. While Kraków and Gdańsk are already well-known places to spend the last night of freedom, Wroclaw gives you the opportunity to touch the real Polish. And we can arrange it for you. Check out what we can do for you on our site www.activepoland.com and choose something that fits you best. Make your stag party in Wroclaw even more exciting! We also recommend Kraków and Gdańsk for your stag do.